With over 60% of all single ply roofs in the UK being mechanically fixed it’s critical that the correct fixings are used for the individual application. 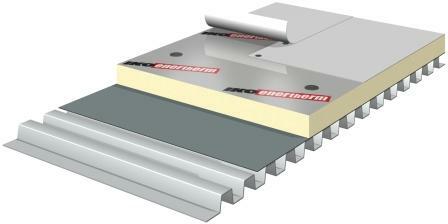 After all, these are the key components that secure the roof in place for its lifespan. The aim of this blog is to provide a greater insight to what questions you should be asking yourself and your supplier when choosing mechanical fixings for roofing projects. 1) WHAT AM I FIXING DOWN? One of the crucial things to consider when choosing mechanical fixings is what you are actually fixing with them. When fixing, either the thermal insulation or membrane in a warm roof construction, it is common to use a combination of a plastic tube and an integral washer in conjunction with the steel fasteners appropriate for the chosen substrate. These ‘thermally broken’ fastener assemblies reduce cold bridging and also are more cost effective than traditional steel pressure plates and full length fasteners. If thermally broken assemblies are not used an adjustment for cold bridging, this must be taken in to account in the U Value calculation. This requires a possible increase on the thickness of the insulation to achieve the required U Value on the roof. This should be carried out using fastener combinations with a minimum 50mm diameter or 50mmx 50mm washer or pressure plate. The insulation boards should be fixed with the minimum number of fasteners per board as specified in the table above. Fasteners should be installed in the appropriate layout as per manufacturers and industry recommendations. This should be carried out using fastener combinations with a minimum 50mm diameter washer or 80mm x 40mm pressure plate. The membrane should be fixed with the minimum number required to secure against wind uplift as per the manufacturers wind uplift calculation. Fasteners should be installed in the appropriate layout as per manufacturers recommendations. 2) WHAT AM I FIXING INTO? The three most common types of substrate that are used in modern roof constructions are trapezoidal steel decking, timber (plywood or OSB) and in-situ or pre-cast concrete. It’s important to select the correct fastener for the particular substrate being fixed to as fastener design can alter to suit each material. Selecting the incorrect one can affect the design load of the fastener and could potentially lead to failure. When faced with other substrate materials such as aluminium or woodwool decking, special fixing requirements are required and the fastener manufacturer should be contacted for advice. Trapezoidal steel decking fasteners generally have a closer thread to maximise contact with the substrate and achieve a better pullout value. It’s important to check that the fastener being used is designed to go through the thickness of steel decking. Some fixings will have a drill point to ensure the correct hole size is drilled in to the sheet. Steel decking should be a minimum of 0.7mm. Timber fasteners generally have a coarser thread and a tapered point instead of a drill point for ease of installation. The minimum recommended thickness for timber decking is 25mm for close boarded timber or 18mm for plywood and OSB. Click here to find out about the different types of membrane and insulation board fixings available from IKO Polymeric. 3) IS THE FASTENER SUITABLE FOR THE JOB? Does the fastener conform to current regulations and approvals? 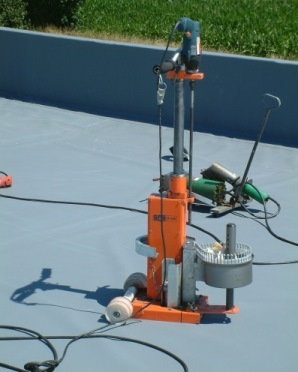 As well as selecting the correct fastener for the substrate, it is also important that the fastener is covered by a current ETAG 006 certificate and should have a minimum resistance to corrosion as defined by Clause 2, UEAtc directive; ‘Supplementary Guide for the Assessment of Mechanically Fastened Waterproofing’. This is less than 15% corrosion after 15 cycles in a Kesternich cabinet. 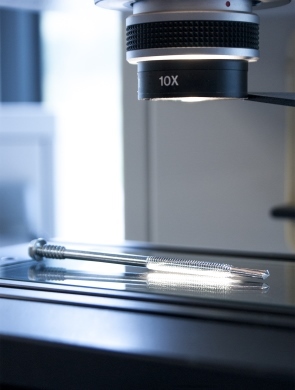 Also when using dissimilar metals, the risk of galvanic corrosion must be assessed. Is a mechanically fastened solution appropriate for the internal building conditions? High humidity and aggressive internal environment applications should be avoided where possible. 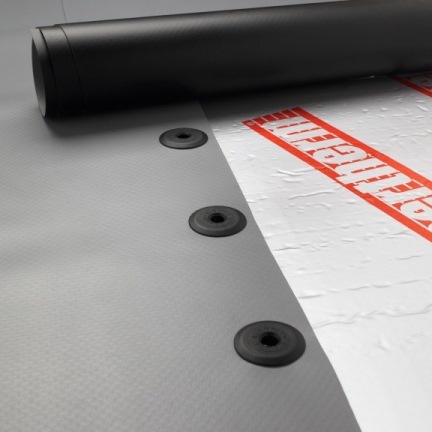 For roof build ups over swimming pools, ice rinks, laundry’s etc., a fully adhered system should be considered as the best option. 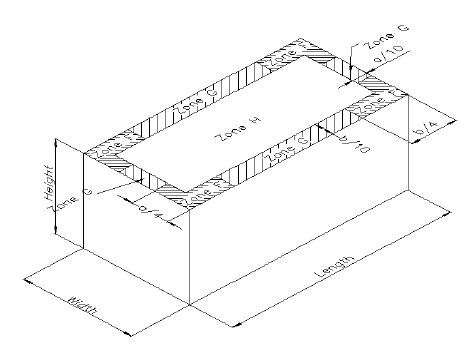 Pullout tests should be carried out on refurbishment projects where the existing substrate is to remain in place and also on new concrete decks when either the thermal insulation or membrane is to be mechanically fixed. 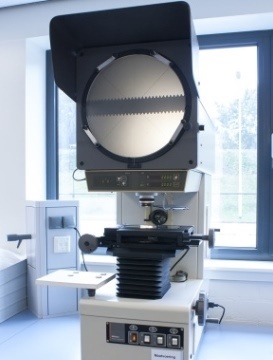 Tests should be carried out in accordance with the methodology outlined in ETAG006: March 2000 using a calibrated machine undertaken by a competent person trained in carrying out the testing. 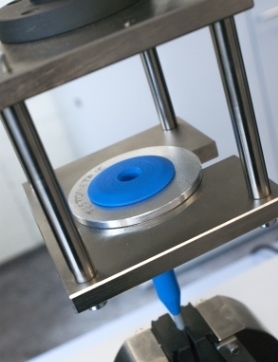 The pullout test provides information as to what the appropriate fastener will be, the suitability of the substrate, the ultimate failure load of the fastener and any pilot hole size and depth that may be required. Factors of safety can then be applied to the ultimate failure load to determine the design load of the fastener to use in the wind load calculation. We recommend that a minimum of 6 pullout tests are carried out on each roof area up to 1000m2 and a further 6 tests carried out for every additional 1000m2 of roof area. 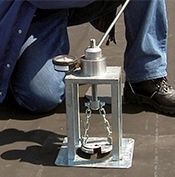 Pullout tests should be carried out prior to the installation of the new roof and spread evenly across the whole roof. This makes a fair representation of what the new roof build up is to be fixed to. Has a wind uplift calculation been carried out? 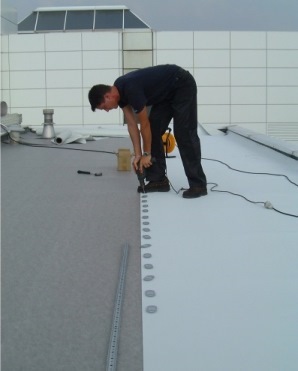 A responsible manufacturer will carry out a wind uplift calculation that is specific to the roof location, height and shape to determine the number of fasteners required to secure the roof against wind loading. The design load of the recommended fastener will form an integral part of this calculation and it is important not to proceed with an installation without the correct wind load calculation and fixing layout. 4) AM I INSTALLING THE FASTENERS CORRECTLY? Several types of drive heads are available, the most common being recessed Torx and Phillips head drives as well as hex head fixings. Care should be taken to ensure the correct drive bit and tooling is used to install the fasteners. Fasteners should be installed at the correct torque by avoiding over tightening which can lead to reduced pullout resistance or stripping of the thread. Fastener heads should not protrude higher than the washer as this can potentially cause mechanical damage to the membrane when trafficked. 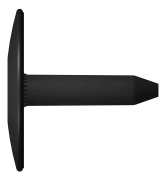 A suitably recessed pressure plate may be required when using hex head fixings. 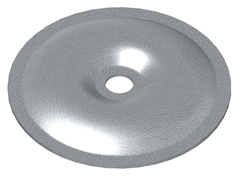 When lap fixing the membrane, the washers/ pressure plates should be installed in a straight line inside the membrane lap (not overlapping the edges of the sheet) and should resist rotation by hand force. When fixing to a steel profiled decking sheet, the fasteners are fixed into the crowns of the decking sheet and the rows of fasteners are run at 90 degrees to the decking sheet to spread the wind load as evenly as possible. As a leading manufacturer and supplier of single ply roofing systems and components, IKO Polymeric can offer advice on the most appropriate fixing as well as carrying out pullout tests and undertaking wind load calculations on a project specific basis. IKO Polymeric also provide operative training at our dedicated Training Centre at our Chesterfield manufacturing facility that covers all aspects of single ply roofing installation. For further information on IKO polymeric services and the IKOfix fastener range, please do not hesitate to contact your local Business Manager or IKO Polymeric Technical Services.